So, I’m sure a few people noticed my blogging fail. Totally hit the publish button instead of the preview button. Opps. Ok so here’s the finished post. I recently read an article titled “Why Readers, Scientifically, Are The Best People To Fall In Love With” and I would say it hits the nail on the head. I sent this article to my fiance and told him he made a good choice with me, since it’s scientifically proven that readers are the best people to fall in love with. He thinks it sounds biased, but I totally agree with it. Or maybe I’m biased. Haha. I’ll let you be the judge. “Readers, like voicemail leavers and card writers, are now a dying breed, their numbers decreasing with every GIF list and online tabloid. I think we are a dying breed and I see how this busy world can find “more” entertaining things to do than read books. I use the term “more” entertaining loosely as I think that reading is entertaining, but not everyone thinks so. And again, I’m probably being biased, but we are the nicer and smarter people. 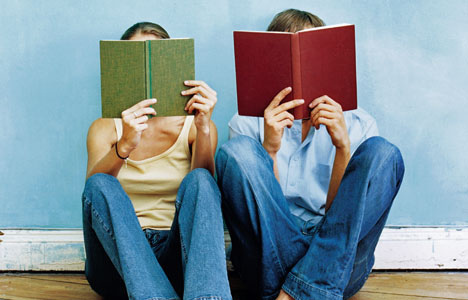 “It’s no surprise that readers are better people. Having experienced someone else’s life through abstract eyes, they’ve learned what it’s like to leave their bodies and see the world through other frames of reference. I totally agree with this section of the article, but would also add that sometimes I really relate to the characters in the books I read. I know how they feel because I’ve gone through it myself. Like losing a parent for instance. Anytime a parent passes away in a book you’ll see me crying like a baby. “If you’re still looking for someone to complete you, to fill the void of your singly-healed heart, look for the breed that’s dying out. You will find them in coffee shops, parks and subways. The only reply I have to this is…readers rock and you need to fall in love with them! I’m trying to convince my fiancé to do a guest post about his perspective on this article. Take a look at the article and let me know what you think about it as a reader and/or non-reader. I would love to get some other opinions on it.